The Walking Dead Season 6 spoilers go into detail about what to expect on our favorite zombie apocalypse TV show. The finale of “The Walking Dead’ finally closed out season five on Sunday, but spoilers and buzz surrounding TWD season 6 of TWD are already being shared. Most rumors revolve around Negan and the Saviors, but Morgan’s changes and involvement in season six have been confirmed along with more death courtesy of the Wolves. Warning – Spoilers from the season 5 finale and upcoming season six of ‘The Walking Dead’ are below. Here are The Walking Dead season 6 spoilers that have been CONFIRMED for season 6 of TWD. Morgan’s Back…For Good? Morgan’s return to the show is just starting. While on ‘The Talking Dead’ finale, Lennie James confirmed some news about his fan-favorite TWD character stating, “I’m allowed to say that I’ll be there for one episode at least.” He also added that Morgan is a different guy than what viewers last saw of him in his appearance in ‘Clear.’ James explained that “something happened” to Morgan that has changed him. What that “something” is, was left to the imagination. Lennie did mention a possible “origins” episode in season six that will explain Morgan’s new spiritual embrace of life. It seems, based on current pitches and angles for the upcoming season, Morgan will have a firm role. How he will get along with the “new” Rick will make for interesting story angles. For most, the return to the walkers being a threat would be a huge welcome. Of course, it sounds like it won’t stay that way for long. Note the words – “At the start of our next season…” This means that we probably won’t see the new living villain until closer to the mid-season finale or afterward. From this point on, we are left to conjecture mixed with hints from the actors and producers. Keep in mind that filming for the show doesn’t usually begin until May, so things can change. Currently, the show is in the final pitching stage. The Wolves:The Wolves finally made their debut in the final episode of season 6. From their attempt to take out Morgan, trapping Daryl and Aaron, and killing poor Red Poncho Guy, they are clearly the bad guys being teased throughout the season. Most agree that the Wolves are the TV equivalent to the book’s group, the Scavengers. If that is true, these guys are nothing compared to the evil of what follows in the arrival of Negan. Negan and the Saviors: As promised, we circle back to Negan and the Saviors. In the comics, Negan leads a group of militia-like survivors called the Saviors. They started as part of a large colony, but Negan, taking control, moved his violent group to a heavily fortified factory. They also have several outposts…one close to Alexandria. After Rick’s group defend themselves from an attack from a small group of the Saviors, Negan and his men retaliate killing Abraham and beginning a war. If there is one lesson we have learned over the run of the TV show version of ‘The Walking Dead’, it’s that the books and show are similar, but run different plots and have various twists. It should also be noted that Negan and his gang would be a sizeable leap from the show’s current pace with books. Will Negan appear in season 6? Possibly, but it’s likely it wouldn’t be until the end of the season. Bank on the appearance of Paul Monroe, aka Jesus, and the Hilltop Colony led by Gregory, before we will see Negan. 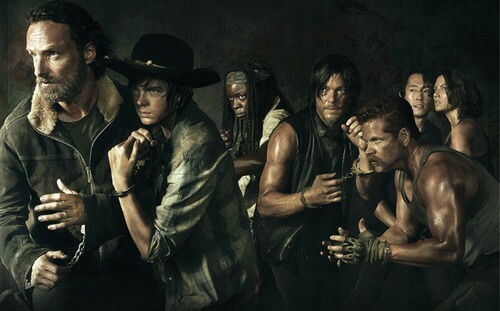 What do you think will be the key plot lines in season 6 of ‘The Walking Dead’? Will Negan’s appearance be expedited? Come back to CDL regularly for more The Walking Dead Spoilers, news and rumors. The Walking Dead Spoilers Season 5 Episode 3 – Who Dies Next – “Four Walls and a Roof” – Another Death? The Walking Dead Season 5 Spoilers: Who Is Morgan Jones And Why Has He Returned? The Walking Dead Spoilers: Spin-off ‘Cobalt’ Set In Zombie Infested Los Angeles!